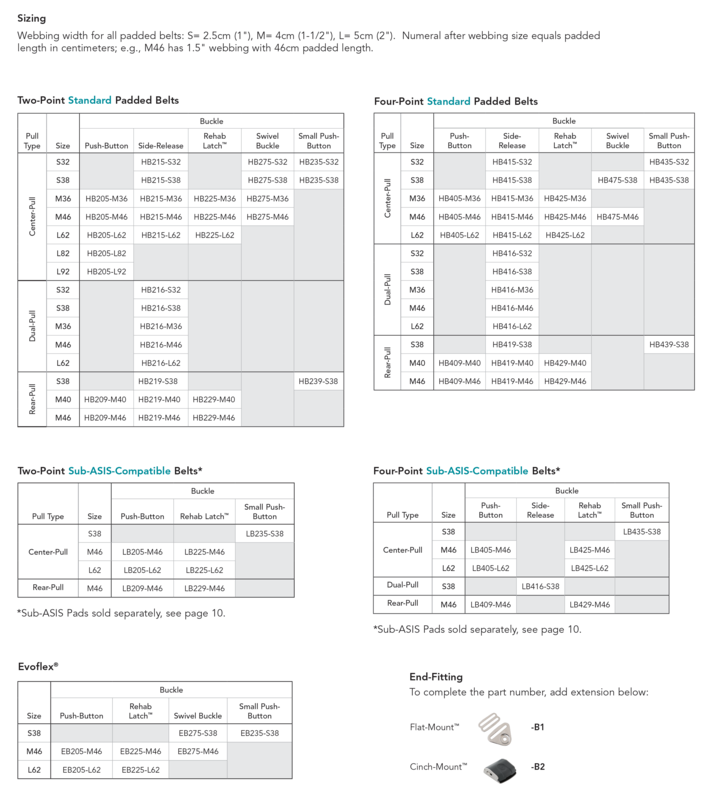 Bodypoint padded hip belt part numbers put you in control for a more reliable belt fit. length (the part of the belt that is up against the body in front of the chair) is indicated by the numeral after the webbing size. For example, an HB205-M46 has 1-1/2” wide webbing and a total padded length of 46cm. The video below shows how to determine the mounting point and angle. It only takes a minute. padded length you need, as shown in this video. between centimeters and inches, if needed. 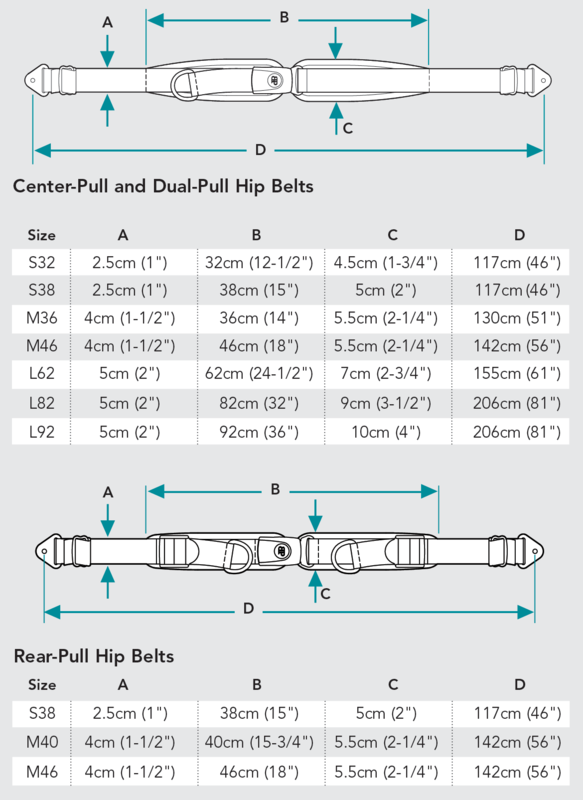 Not sure what padded belt options we offer? Here's the table. only, and B2 is the Cinch-Mount™.